Theramax specialises in the design and manufacture of thermal and acoustic insulation systems for engine compartments and exhaust lines. 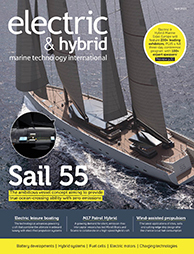 At Electric & Hybrid Marine World Expo, it will present the Tmax-Battery Housing, which protects lithium-ion systems from external influences and the environment against the effects of thermal runaway. As part of this, thermal management with high-performance cooling ensures the ideal operating temperature. An integrated pressure compensation element enables air exchange to balance the pressure difference. If there is a critical increase in pressure, the safety valve opens and directs the gas causing the system’s overpressure to the outside, preventing the housing from exploding. 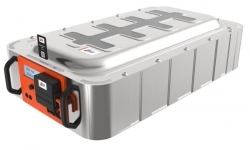 The crash-safe housing minimizes mechanical deformations, reducing the danger of possible short circuits. Thanks to its modularity and scalability, the housing can be used in different configurations and arrangements.